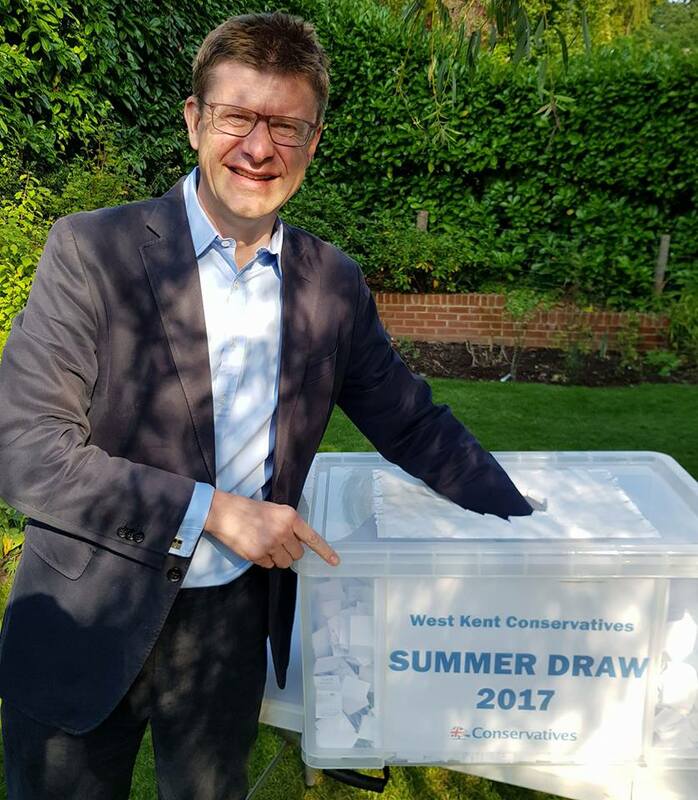 There was a great deal of discussion this year whether West Kent should run our Annual Summer Draw. 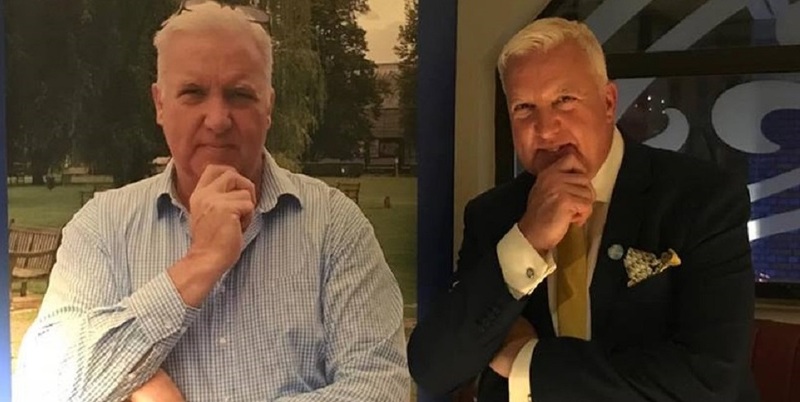 Many felt that the draw, following so soon after the General Election (when members were incredibly generous with donations to the Fighting Fund), might be too much, especially as many members were angry or irritated by the outcome of the GE. After a great deal of debate we decided to go ahead, not least because we had already paid for the tickets to be printed before the GE was announced. 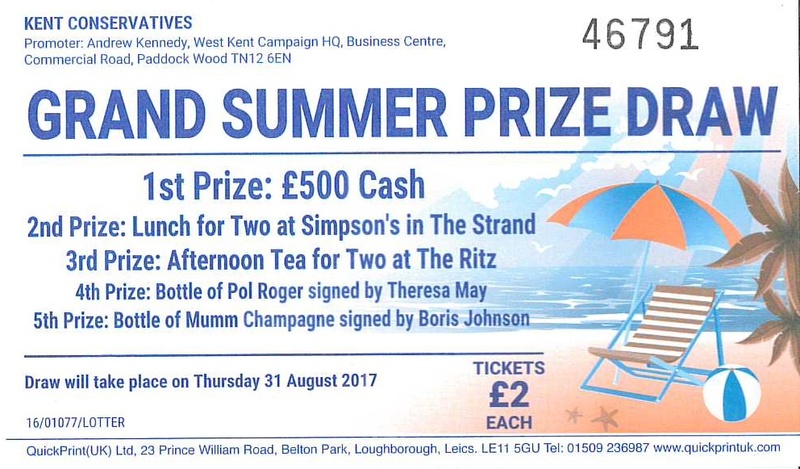 I understand that the Conservative Supporters Club National Draw was cancelled. It was a close decision, and I understand why some people took a different view. We did however make reference in the appeal letter to our members' recent generosity and made it clear that we understood that some might not feel able to contribute again so soon after the FF appeal. In the end it was the right call. 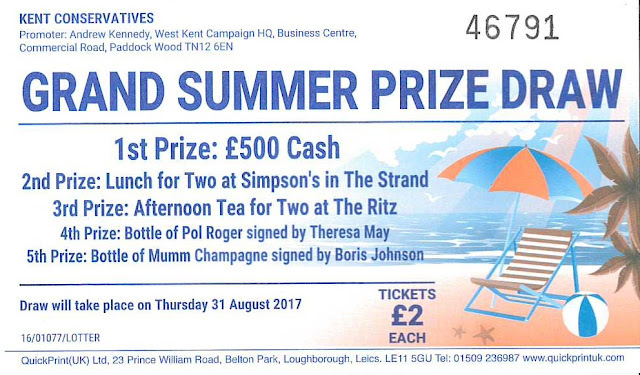 Although the profit from the 2017 draw was about 20% down on previous years, it still made around £7,000 profit for our local Associations (and that is after paying for the tickets to be printed, the prizes to be purchased and the cost of printing and posting the letters). In our case, that 42% was the equivalent to £3900 of revenue, money we would have lost had we not send a reminder. Thank you to everyone in West Kent for supporting the Summer Draw and the the office team who helped pack the envelopes, log the replies and fold the tickets for the "raffle drum". Well done. An example to all Associations.